A chance for us to share some articles that we’ve been mentioned in recently. 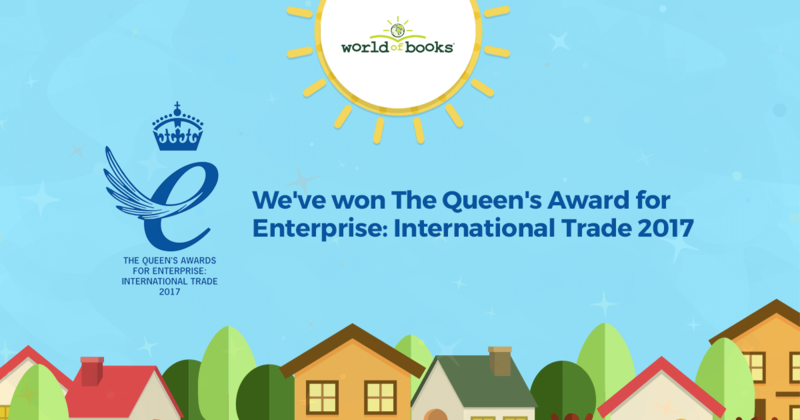 Here at World of Books, we’re proud of our achievements and have been very lucky to have been shortlisted for a number of awards over the years – and we’ve won a few too! Today it was announced that we’ve won a Queen’s Award for Enterprise: International Trade 2017. The Queen’s Award for Enterprise recognises and celebrates business excellence in the UK. We’re super excited about it! To be recognised in this prestigious award category is something that means a lot to us here, so we’ve thrown a little party internally to celebrate. Take a look at some of the other awards we’ve won here. 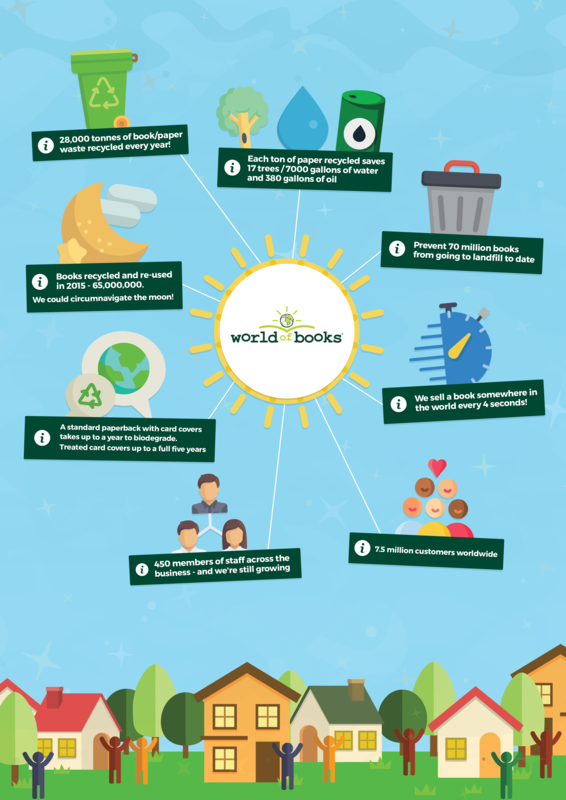 Helping the environment is a big part of what we do at World of Books and the whole business works hard to ensure that we’re doing our bit to help protect it. That’s why we re-use and recycle over 28,000 tonnes of book and paper water every year, keeping some 70 million books from going into landfill. We also have a large team dedicated to keeping the business running effectively and efficiently which has helped us to grow and expand rapidly in the past 10 years. Bringing employment and opportunities to the local community.